Pianist, Kirstin Weston completed her Bachelor of Arts in piano performance at UCLA in 2012 and her Master of Fine Arts in Piano Performance at UCI under internationally renowned pianist Dr. Lorna Griffitt in 2014. Before coming to UCI, Weston studied under the Grammy-award winning pianist, Dr. Gloria Cheng at UCLA, CAPMT President Dr. Jennifer Snow, and international solo pianist, Nakyong Chai. She has performed extensively in the Southern California area and was a featured soloist at the Edward Hosharian Memorial Concert at Zipper Hall in 2010. 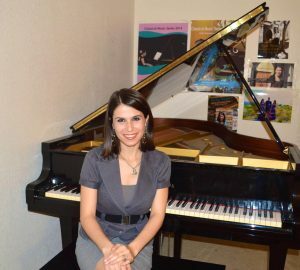 She was a gold medal winner at the Chopin Mazurka division of Southwestern Youth Music Festival in 2008, a finalist in the Southern California Bach Competition in 2008, and a scholarship winner at the Benno Rubinyi Piano Competition at UCLA in 2010. Kirstin has performed in master classes for Emmanuel Ax, Julian Martin, Menahem Pressler, Malcolm Bilson, Ayke Augus, Max Levinson, Robert Thies, and Angela Cheng. Kirstin was a young artist in the OC Chamber Music program in the 2014-2015 season with violinist April Kim in their chamber team Duo Animato. She currently has an active duet team, The Weston Duo, with her husband Dr. Ryan Weston, who was awarded the gold medal at the Fischoff Chamber Music Competition and the Colman Chamber Music Competition in 2010. The duo has been featured in concerts at the Palos Verdes Library, the Nixon Library, and Santa Monica College. While at UCLA, Kirstin was the founding president of the MTNA collegiate chapter and is now the Alumni Advisor to the founding MTNA chapter at UCI. 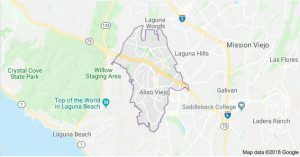 Weston is also the Recording Secretary and Membership Secretary for CAPMT District 8 in Orange County and is a founding member, Co-Chair, and District 8 Leader for the CAPMT Young Professional Leadership Network. Weston is the founder and owner of KW Music Studios and offers private instruction in piano performance, music theory, and piano pedagogy in Aliso Viejo and via skype.